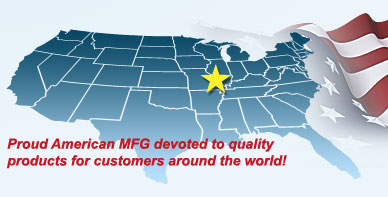 YOUR MOLDING PARTNER, SINCE 1944 We are located in St. Louis in a 450,000 sq. ft. facility that provides centrally located shipping. Design, Development, Tooling, Production, Decoration, Pack Out & Shipping all under one roof.SEMCO is not reliant upon any one type of customer for its success. SEMCO is a stable custom blow molding & large tonnage injection molding company and we supply a wide spectrum of industry types & company sizes. Still family owned by the 4th generation, SEMCO has made the commitment to provide state-of-the-art new presses to quality control testing equipment to Wireless Real Time Production Monitoring. 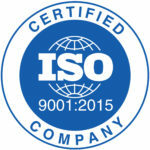 SEMCO offers Just In Time shipping, Vendor Management Inventory, EDI, Full In-house PPAP Process, Robotic Automation Cost Reduction Programs all managed by a state-of-the-art IQMS Software System. Medical Industries, Automotive, Power Sports, Hardware, Housewares, Lawn and Garden, Agriculture, Farm, Consumer Products, Trash/Recycling, Outdoor Products, Electronics, HVAC, Fuel, Plumbing/Irrigation, Food. Copyright ©2014 SEMCO Plastic Company. All rights reserved.